Dear all Xiaomi Redmi Note 4X user! As you know, Xiaomi officially introduced the new MIUI 10 beta version for the compatible devices. However, it’s pity, our Redmi Note 4X was not in the first list of devices getting MIUI 10 beta. However, nothing is impossible. After a long wait, the Miui 10 global beta 8.7.10 is now available for all Redmi Note 4X devices. 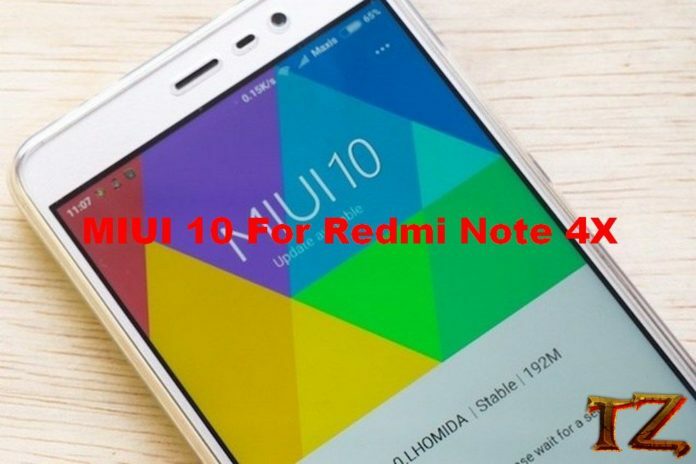 If you feel interested with this new update, here is a step-by-step instruction to flash MIUI 10 update on your Redmi Note 4X. To flash MIUI 10 update, you need to install TWRP recovery for your Redmi Note 4X first. Follow the below step to install it. Now, wait for your phone to boot into the TWRP recovery mode. If your phone hangs Mi logo, then flash LazyFlasher to fix it. It’s time to install MIUI 10 global beta 8.7.10 for Redmi Note 4X. Now, tap on Mount option and disable Mount System if it’s not. Now, tap on Install to flash the MIUI 10 global beta 8.7.10. Once done, you should also continue to flash LazyFlasher to ensure 100% your phone will not be stuck at Mi logo.